Aviation Opportunities - Guest Editorial By John Lester, President Aaca. David Bates Reports On The First Visit Of Type To New Zealand. Ross Ewing Samples The Passion Of Soaring. UK Correspondent Peter Cooper Reports On The Continuing, Winning ,Form Of No.3 Squadron. 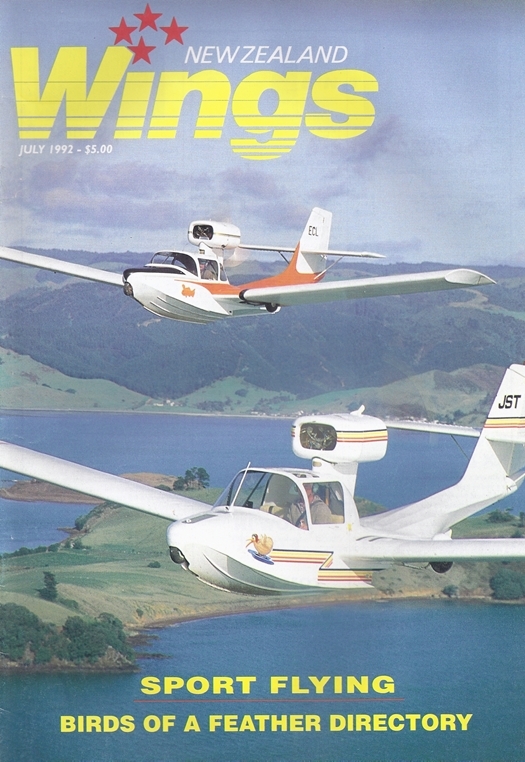 A Directory Of Aviation Clubs, Societies And The Like. A Collection Of Corby Starlets - Don Wikinson In Zk-Toy, David Campbell-Morrison In Zk-One And Peter Whelan In Zk-Deo. John King Photograph.